The average price for this game in the past 6 months is $33.22. The game first became 50% off on May 8, 2018 at Green Man Gaming. Lowest historic price was $27 on Mar 18, 2019 at GamersGate. Awesome price on Assassin's Creed Origins Gold Edition. We don't usually post pricey premium copies but for $46 you get the complete AC Origins content with Season Pass included. Standard available for $30. With the $16 price difference, we think Gold may be worth checking out. As of writing over 21,000 positive user reviews. The average price for this game in the past 6 months is $19.93. The game first became 50% off on Apr 6, 2018 at Razer Store. Lowest historic price was $16.20 on Mar 18, 2019 at GamersGate. Uplay key of Assassin's Creed: Origins is now at a new historic low price of $16.20 due to a big 73% off price cut at GamersGate after coupon. Deluxe and Gold Edition are also on sale. GMG's holiday sale is bringing some aggressive pricing with deals even better than what we saw during Black Friday and Cyber Monday weekend. At $35, you'll now be able to pick up Assassin's Creed Origins for the PC at 42% off. This is the lowest price we've seen for a digital copy. Despite everyone initially bashing the game, Assassin's Creed: Origins reviews from gamers are comfortably pegged in the "very positive" territory. New historic low for the PC digital Uplay copy at GMG thanks to Black Friday weekend sale. For a limited time, GMG flash sale is bringing Assassin's Creed Origins back down to 20% off. If you didn't pick up the game but you're itching to try out now that it has been positively received, this is cheapest legitimate place online for a digital Uplay copy. Deal ends tonight. Pick up Uplay key of Assassin's Creed Origins for 19% off thanks to an extra stacking 5% off coupon. If you're convinced by the rave reviews and decent gameplay videos on Youtube and Twitch - this is a good price for release week. The average price for this game in the past 6 months is $23.91. The game first became 50% off on May 8, 2018 at Green Man Gaming. Lowest historic price was $18.90 on Mar 18, 2019 at GamersGate. The average price for this game in the past 6 months is $18.15. The game first became 50% off on Dec 26, 2017 at GameStop. Lowest historic price was $15 on Feb 28, 2019 at Microsoft. Microsoft Store has great price on AC Origins for the Xbox One during Black Friday. You'll need to act quick because this will go OOS fast. Can't wait until Black Friday? Target has Assassin's Creed: Origins for $10 off at $49.99. The latest in the Assassin's Creed series is shaping up to be one of the best in recent years, and we think it's worth checking out if you've ever enjoyed Assassin's Creed 1 or 2. The average price for this game in the past 6 months is $35.25. The game first became 50% off on Aug 10, 2018 at eBay. Lowest historic price was $25 on Feb 28, 2019 at Microsoft. 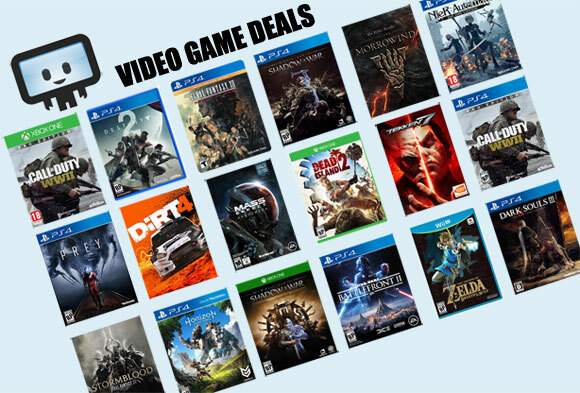 Visit this page and scroll down for "Save an extra 12% on Ubisoft Black Friday Deals"
The average price for this game in the past 6 months is $13.40. The game first became 50% off on Sep 29, 2018 at Razer Store. Lowest historic price was $11.62 on Dec 18, 2018 at Green Man Gaming. The average price for this game in the past 6 months is $25.55. The game first became 50% off on Nov 15, 2018 at Microsoft. Lowest historic price was $23.10 on Jan 29, 2019 at Microsoft. The average price for this game in the past 6 months is $23.99. The game first became 50% off on Dec 26, 2017 at GameStop. Lowest historic price was $17.99 on Oct 20, 2018 at GameFly. Gamefly has used copies of Assassin's Creed Origins for only $20. That's a new historic low for this relatively new Triple-A title. Given there's no new Assassin's Creed title for 2019, this will be the latest installment for the near future. Also available for Xbox One. Free shipping. Assassin's Creed Origins is now $25 at NewEgg, a new historic price for the PS4 and Xbox One copy. Mostly positive reviews. Kind of crazy but Assassin's Creed: Origins is now only $30 on PS4 and Xbox One at GameStop. Its not a bad game by any means but its already 50% off for a two months old game. Newegg already has Assassin's Creed Origins on the PS4 and Xbox One for 20% off to $47.99. Don't have GCU? Missed Amazon Prime's cut off? No problem. Free shipping, limited sales tax. Don't let the discount fool you as reviews are mostly positive and this looks like a winning installment to the series thus far.